Chelsea Heffner is a multi-disciplinary artist, designer and teacher residing in White Salmon, WA and Portland, OR. 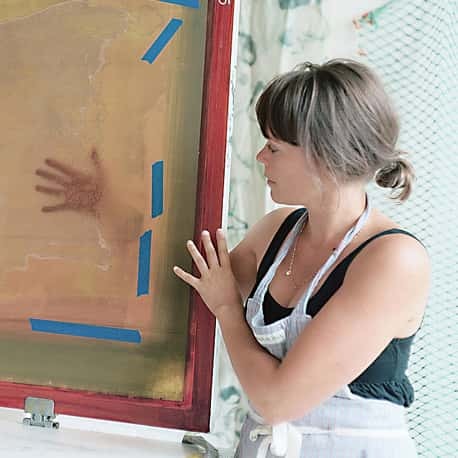 Early years were occupied with painting and printmaking, developing into a current practice tangled in the world of textiles, teaching, business and creative consulting. Regardless of the medium or objective, her work reflects a commitment to observation. Nature’s patterns of light & weather, cycles of death and rebirth share equal inspiration with fundamental questions about female identity, habits of dress and objects of personal representation. Heffner’s images, objects and products, often exalt, sometimes question, and frequently become seamlessly integrated as pieces of everyday life. She is the founder of WildCraft Studio School and also an Assistant Professor at The Pacific Northwest College of Art in Portland, OR.